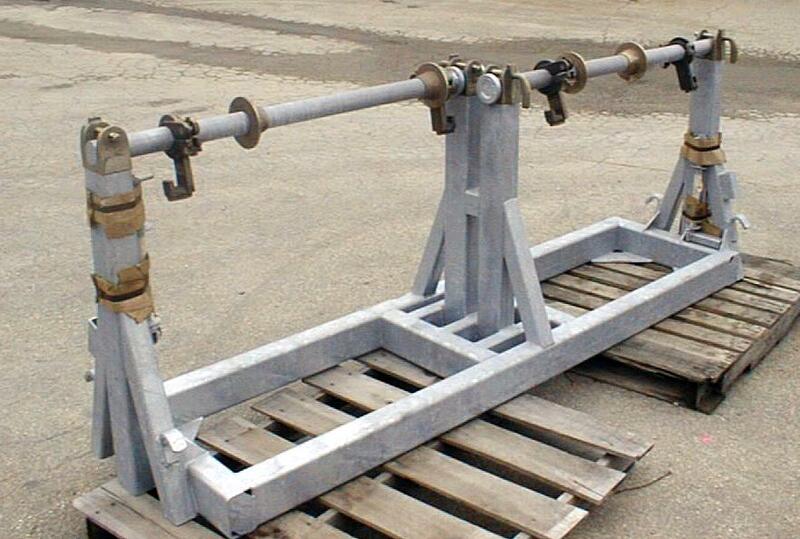 Reel Frames - Sauber Mfg. 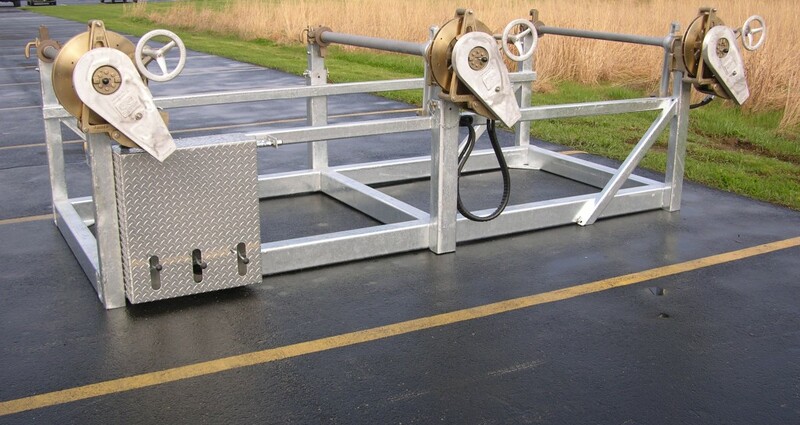 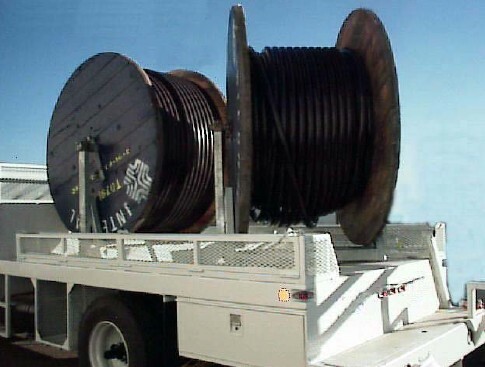 Co.
We can develop kits to retrofit your existing flatbed truck or trailer configurations so that you can line up the reel to the work, not the whole vehicle. 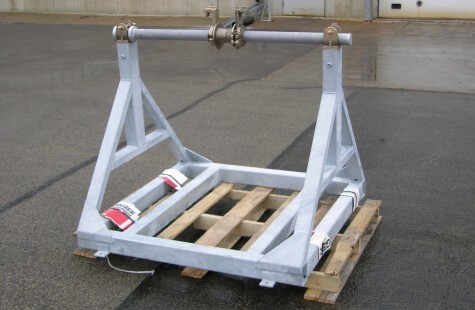 Our turrets lock on 15 degree intervals and rotate fully loaded with less than 10 pounds of force. 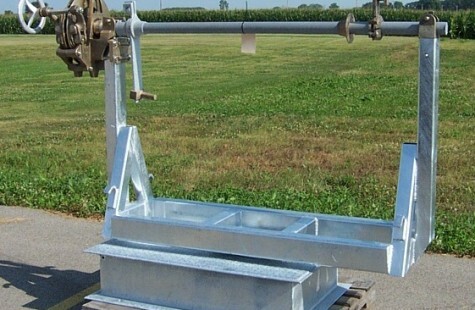 A cost effective alternative to a new trailer purchase. 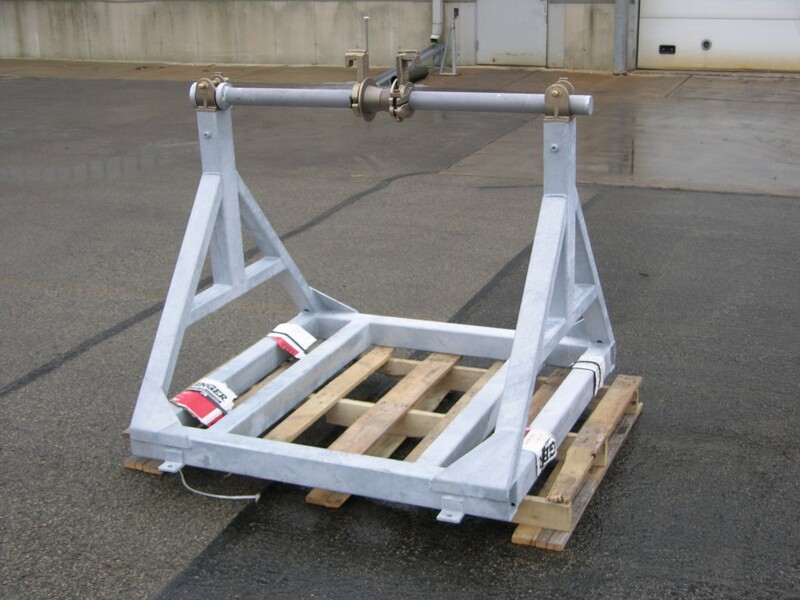 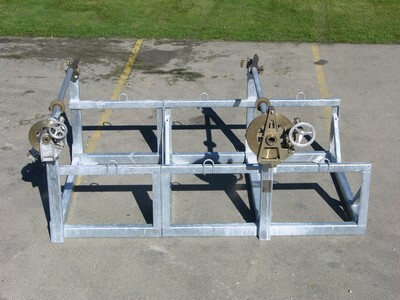 These frames can be added to existing flatbed trailer or trucks and removed quickly to allow other uses. 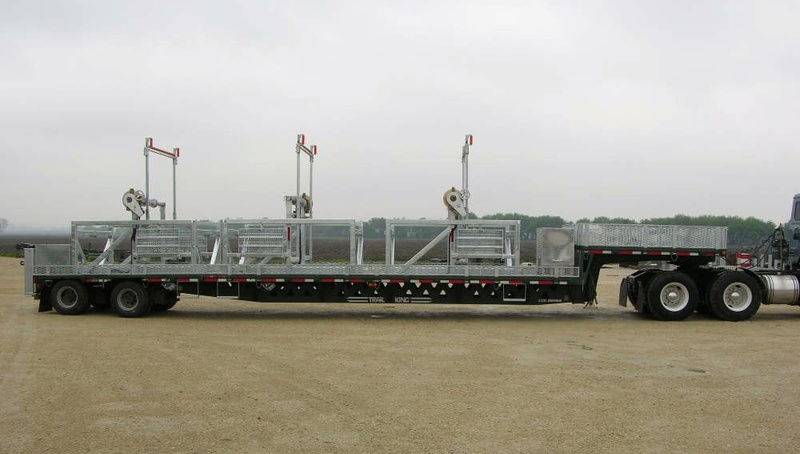 Turret frames can be incorporated into existing equipment like flatbeds and trailers or as original equipment built into your new vehicles.